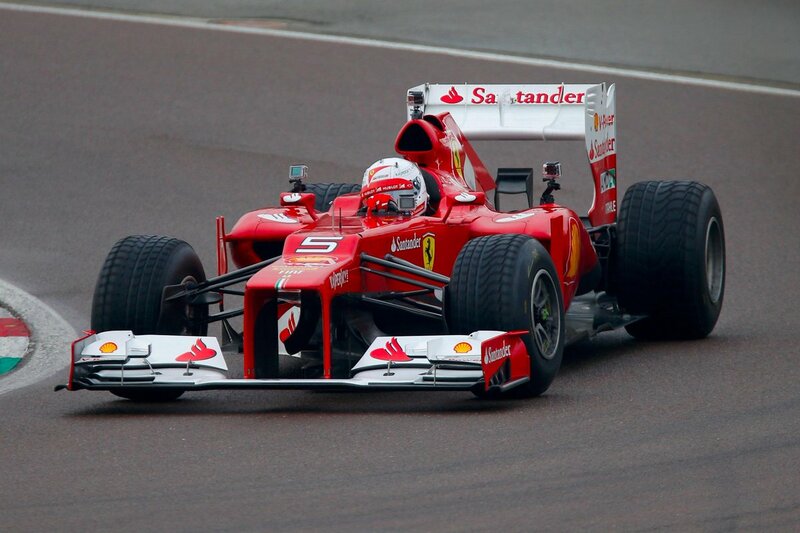 Home » Formula One: Vettel drives 2012 Ferrari in first test for Scuderia! Sebastian Vettel has driven a Ferrari Formula One car for the first time since signing for the team for next year’s 2015 Formula One world championship. The German took part in a test at the team’s Fiorano test track in Italy. The 4 time world champion drove Ferrari’s 2012 car, the same type raced by Vettel’s title rival Fernando Alonso that year. Sebastian will replace Fernando after leaving the Red Bull family. He had been a part of their young driver programme since 1998. Vettel, wearing a white helmet with the text, ‘My first day at Ferrari,’ drove the Ferrari for a test that will most likely have no impact on the team’s preparation for next year’s championship. It is highly likely that the test was organised to get Sebastian’s race seat fitted and to get him acclimatized with the Ferrari crew. Sebastian had wished to drive for the team in their 2014 car at the Abu Dhabi post-season test on Monday and Tuesday, but his former team Red Bull disallowed it. Vettel was present in the Ferrari garage for the two day test as his 2015 team-mate and good friend Kimi Raikkonen drove the car. “It was nice that he joined us in the garage for the first day of testing, although I have to say that didn’t surprise me, because I know what he’s like and his approach to work,” Raikkonen said in a team statement.